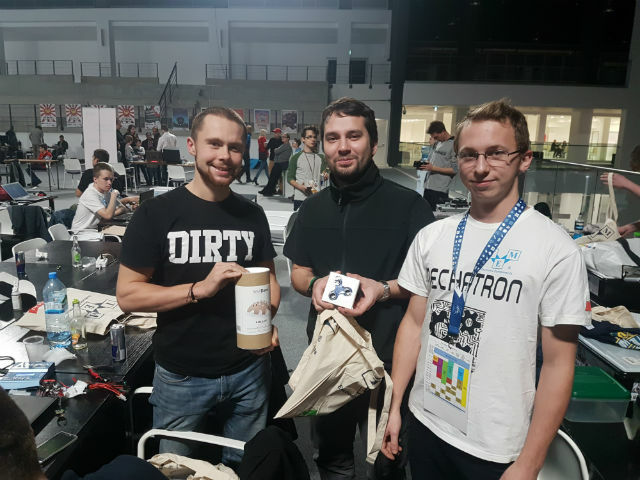 Sumo Challenge is one of the largest robotics events in Europe, and it is organised by the SKaNeR student scientific association of Lodz University of Technology. 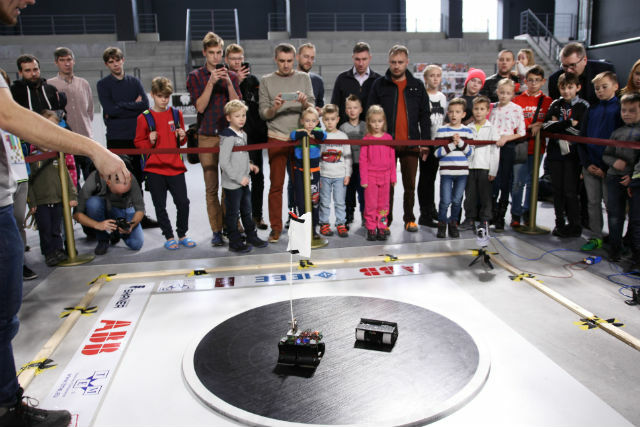 On 18 November 2017, more than 170 constructors visited the Sports Bay (Zatoka Sportu) in Łódź to participate in the anniversary competition. 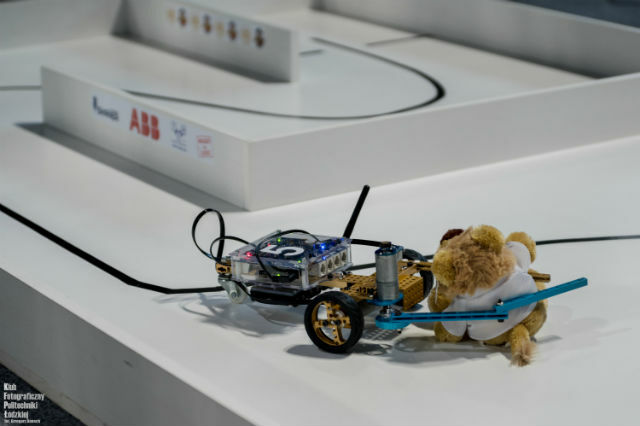 Robots competed in 15 categories. Their designs caused great admiration, especially among the youngest participants. 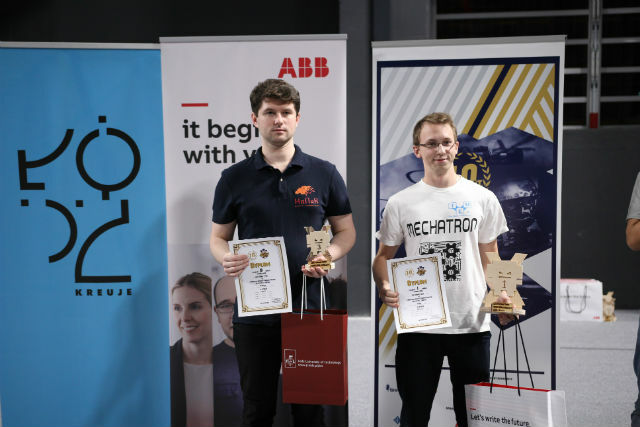 Our contestant – Mariusz Pałubicki – won 1st place in the Linefollower Turbo category with a robot named Grinch, and 2nd place in the Linefollower Standard category with another robot named Pika. 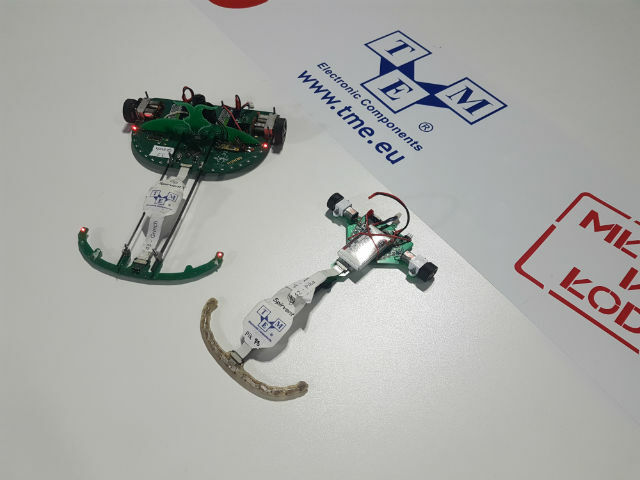 Workshops were held during the event, allowing children to build their own robots from Lego bricks. Two robots stirred particular interest: a robot named Yumi with its relentless stacking of bricks, and MIR – a mobile robot that children could ride around the hall. Many people tried the drone flight simulator. We would like to congratulate all participants and thank everyone for a wonderful time!